Tree trimming is a great alternative to removing a tree. A qualified tree trimmer is able to remove problematic branches from a tree, saving the rest of the tree. Or if you have an unsightly tree on your property, a knowledgeable tree expert will be able to give the tree a face lift by shaping the tree into a more ascetically pleasing form. Tree trimming is improving a tree in a targeted and detailed manner in order to increase the health, appearance and safety of the tree. Tree trimming is very common and both an art and science. To guarantee that your trees are pruned to the highest standards, we require that each of our employees be trained in proper pruning techniques and that they are knowledgeable in tree biology. The benefits of properly pruned trees include not only improved visual appeal, but increased safety and resistance to storm damage and better defenses against attack by pests and pathogens. Poorly conducted pruning can cause permanent damage, and can hasten the decline or death of a tree. 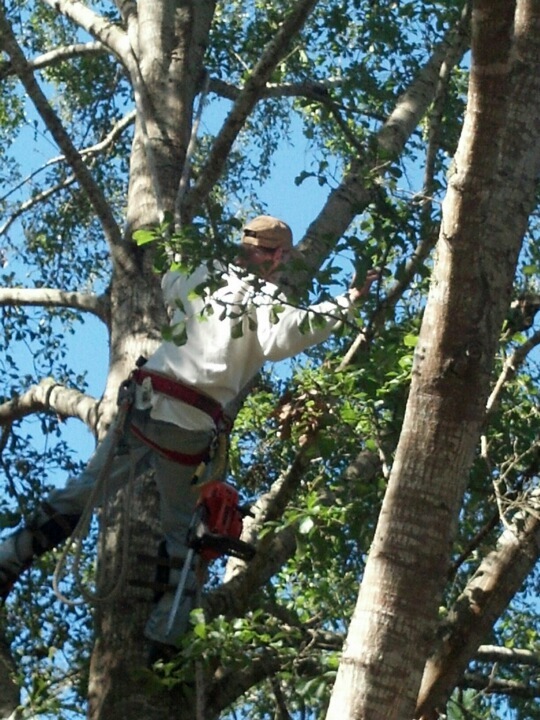 We have been trimming and pruning trees in Fairhope, Point Clear, Daphne, Spanish Fort, Silverhill, Foley, Robertsdale, Gulf Shores, And Mobile Alabama for decades. How often should my trees be pruned? A tree should be considered for pruning every 2-5 years, depending on health, location, and growth rate. Consulting with a qualified arborist is the best option. Most trees can be pruned almost any time of year. There is a brief period of time in the Spring when tree sap is flowing fastest and the chances of tearing bark on a pruning cut are most likely. Winter is also a great time to prune trees and because it is our slowest time of year, we may be able to offer winter pruning discounts. How much does tree trimming cost in the Lower Alabama area? The proximity to hazards such as buildings and power lines can increase the cost of a tree trimming job. Access to the tree is a major consideration. The number of branches that need to be removed. Call us (251) 716-0130 or get a free estimate through our website contact page for all your tree trimming needs and questions.